Environ’s Antioxidant Gel formula contains high concentrations of vitamin C, E and Beta Carotene to help heal, calm and protect the skin. 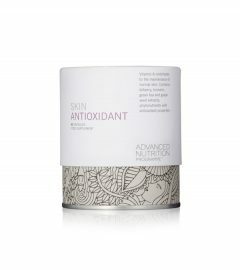 This antioxidant gel is an emergency cream for super reactant and sensitive skins. The antioxidants in this gel help to soothe and take down inflammation in the skin. Great to use as an after sun, on insect bites or clients that have irritations. Can be used instead of AVST moisturiser or as a starting point for very reactant skins. Use a small amount massage in and follow with SPF in the morning. Use morning and evening.